Goofy music sounds better in the summer. Mungo Jerry's "In the Summertime," quite possibly one of the most enjoyably dumb songs ever, would have fallen flat on its face if it were instead called "In the Wintertime." Summer brings with it the illusion that constant fun is both reasonable and attainable, and its songs must reflect that. There are songs that blanket the whole country like a thick slathering of baby oil framing a skimpy bikini--the big summer hits--and there are summer songs whose meaning is hung in one listener's singular orbit for sentimental reasons. What sticks cannot be predicted until well after Labor Day, but any song having to do with parties, dancing, cars, new love or beaches is a good bet. 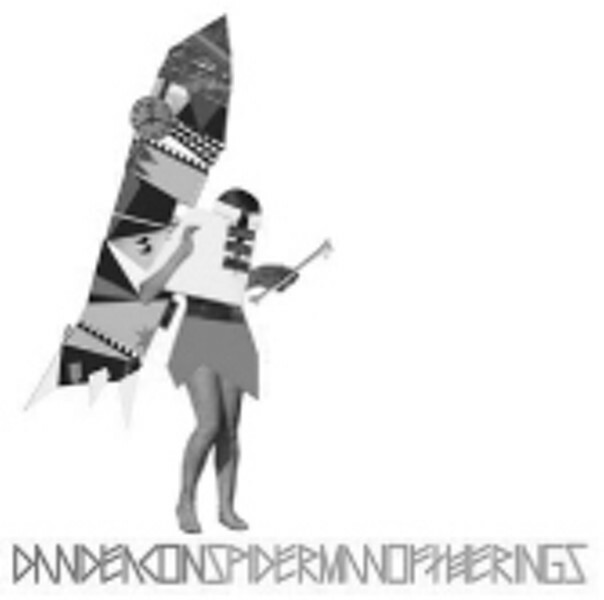 Baltimore electronica avant-nerd Dan Deacon's 'Spiderman of the Rings' sounds the way you wish summer felt all of the time. His frantic, candy-colored sounds burst out of stereo speakers as if Deacon had inhaled a giant Pixy Stick seconds before recording them. If you can get past the maniac cackle-fest of opening track "Woody Woodpecker" (built around a looped sample of the cartoon bird's famously annoying laugh), Spiderman of the Rings translates the feelings of a kid's idealized summer--constant, nonstop, nonsense fun--into audio candy for adults. "Wham City" builds into a dizzying buzz of distorted voices and breakneck beats that could be June's theme song. Deacon shares a kinship, more spiritual than musical, with the unbridled energy and glee of our own deeply missed Logan Whitehurst, another artist who would understand that part of the reason to write a song called "Snake Mistakes" is that "snake" and "mistakes" sound really cool sung back-to-back, and that any song about snakes needs to be sung in a weird voice. On the mellower but funkier tip, Oliver Wang, curator of the always excellent R&B audioblog Soul-Sides.com, graces parties-to-be the world over with a follow-up to his 2005 compilation Soul Sides Volume 1. 'Soul Sides Volume 2: The Covers' presents "soul remakes and remade soul," obscure covers of well-known songs and well-known artists covering lost nuggets. Who would be fool enough to pass up Al Green's take on the Beatles' "I Want to Hold Your Hand"? Soul-Sides.com, Wang's pulpit of online crate-digging, could turn even the most hardened music downloading purist into a vinyl lover; it proves that technologies old and new can not only co-exist, but do so symbiotically. If Soul-Sides the audioblog is an amusement park, Soul Sides Volume 2: The Covers is a souvenir T-shirt. By now, only the isolated French monks in that Into Great Silence documentary are unaware that Avril Lavigne has released her third album, 'The Best Damn Thing.' Take away the sappy ballads and--surprise!--it rocks. You might as well give in and embrace the "hey yeah" chant of "Girlfriend," which is a truly fantastic single and is guaranteed to be rocking countless slumber parties and Alpine Toboggan rides at county fair midways for months to come. Though she'd quite likely protest, Avril is less bubblegum's bratty answer to the rote rebellion of mainstream emo than a one-woman 2007 version of the Spice Girls. Accordingly, her lyrics are not about girl power, but Avril power ("I'm the best damn thing you've ever seen," she sings before leading an "A-V-R-I-L" cheer). The Best Damn Thing's bouncy hooks and mall-ready guitar power chords are perfectly calibrated to hit the nation's collective pop sweet spot, yielding songs that grown adults should not view as guilty pleasures, but pleasures, period. Also consider that a national movement of parents borrowing their tween daughter's Avril Lavigne CDs could provoke a backlash culminating in the permanent cessation of Avril smirking on magazine covers. Ah, sweet revenge! With no album, no shows and no actual band, inalbanyonportland is just a guy in Chicago who comes home from his gig as sous chef at Lula Cafe, the fine-dining destination of Chicago's indie-rock elite, and messes around recording stuff in his spare hours. Inalbanyoportland is one of the legions of home-recording savants who has found a tiny sliver of exposure through MySpace, and his music combines moody postrock instrumentals and lo-fi Casio noodling with off-kilter, homespun coziness--what the artist calls "raw unrehearsed ever-changing crap." Crap is in the ear of the beholder, and I find inalbanyonportland's songs charming, spare and perfect to accompany a Midwest summer rainstorm or a post-Avril wind-down.